Cambridge Analytica has announced that it would file for bankruptcy and cease most of its operations. The company is filing for bankruptcy in both the United States and Britain. The elections division of Cambridge’s British affiliate, SCL Group, will also shut down. The move impacts all offices of both companies worldwide. After assembling for meetings, employees were told to turn over their identification cards and any company property and to go home. There were few details about how they’ll be compensated going forward. The decision comes less than two months after Cambridge Analytica became embroiled in a data-harvesting scandal that compromised the personal information of up to 87 million Facebook users. Revelations about the misuse of data was published in March by The New York Times and The Observer of London. Hours before the news broke, Facebook cut Cambridge Analytica and SCL off from its platform. Facebook has since announced changes to its policies for collecting and handling user data. Cambridge Analytica, bankrolled by wealthy Republican donor Robert Mercer, came under scrutiny for its purported methods of profiling voters. Last year, the company was drawn into the special counsel investigation of Russian interference in the 2016 election. The data firm worked on Donald Trump’s 2016 presidential campaign, as well as the 2016 presidential campaigns of Ben Carson and Senator Ted Cruz. In recent months, executives at Cambridge Analytica and SCL Group have moved to create a new Britain-based firm called Emerdata. Cambridge Analytica’s main funder Rebekah Mercer sits on that company’s board. 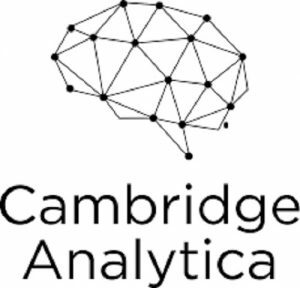 Emerdata could be used for a rebranding of Cambridge Analytica and the SCL Group, according two people with knowledge of the companies.